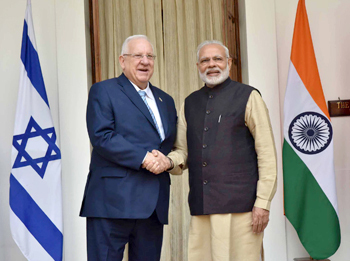 Prime Minister Modi�s Israel visit — Expectations? Prime Minister Narendra Modi�s visit to Israel on July 5-6 this year, first by any Indian Prime Minister will be a historic event of extraordinary proportions since it also will mark 25 years of establishment of India-Israel full diplomatic relations in 1992, which allowed increased economic, cultural and security cooperation between the two nations. It was also during the National Democratic Alliance (NDA)-I regime that Jaswant Singh became the first Indian Foreign Minister to visit Israel. Significantly, bilateral trade between India and Israel has gone up from $675 million in 1998 to $4.52 billion in 2014, excluding military sales. Commercial ties have widened to span areas such as technology, solar energy and agriculture. As per reports, Prime Minister Modi�s visit to Israel will be stand-alone, same as his visits to the United Arab Emirates, Saudi Arabia, Iran and Qatar. It goes without saying that stand-alone visits have special significance in bilateral relationships. At the same time, Palestinian President Mahmoud Abbas is also scheduled to visit India this summer, most likely before Modi�s visit to Israel though the dates have not been announced. Israel is among the top four military hardware suppliers to India; by 2012, the India-Israel defence relationship was estimated to be worth approximately $9 billion, with military hardware sales from Israel to India amounting to $1 billion annually. 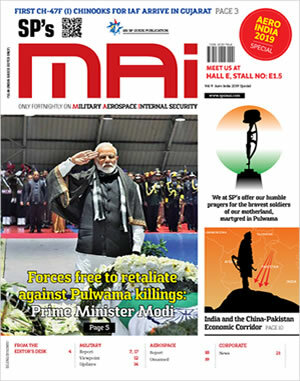 However, as per news reports, Prime Minister Modi�s visit to Israel will focus not only on defence ties alone, but encompass long-term economic and technological cooperation, resulting in a free trade agreement (FTA) which Israel is keen upon. During the visit of Israel�s President Reuven Rivlin to India in November 2016, there were talks on sharing Israeli experience in water management and agriculture. Ahead of Modi�s trip, Foreign Secretary S. Jaishankar will visit Israel in May to tie up details. In March 2017, the Ministry of Defence (MoD) and Israel�s Rafael Advanced Defense Systems signed a $1-billion deal for Rafael to sell India Spike anti-tank missiles; a portable fire-and-forget-guided missile equipped with an imaging infrared seeker and the high-explosive anti-tank (HEAT) warhead. A month earlier in February 2017, Prime Minister Modi cleared a mega deal for the Army worth Rs 17,000 crore to acquire the Barak-8 medium range surface-to-air missile (MR-SAM) system from Israel designed to destroy hostile aircraft, missiles and drones at a range of 70 km; to initially include one regiment of 16 launchers and 560 missiles for the Indian Army. According to IHS Jane�s, the deal includes the sale of 275 launchers and 5,500 missiles, as well as simulators and the transfer of technological (ToT) for assembling 1,500 systems and producing an additional 30,000 missiles in India. 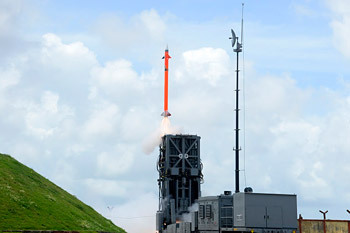 Overall, the Army will induct over five regiments of the Barak-8 MRSAM systems which will have around 40 firing units and over 200 missiles of the system. These missiles will be deployed for air defence of vital assets and points across the country. Delivery of the first system for the Army units will begin in 72 months of the signing of the contract and they would be ready for deployment in field areas by year 2023. India and Israel are jointly developing similar systems for the Indian Air Force and the Navy. Bharat Dynamics Limited (BDL) based in Hyderabad will produce the missiles, with multiple Indian companies like the Bharat Electronics Limited, Larsen and Toubro, Tata group will contribute in the production systems and subsystems in it. A new production facility to deliver 100 missiles a year has been established for such type of long and medium range surface-to-air missiles at BDL. The second deal to be inked was for a similar SAM system to be fitted on board the 40,000-tonne indigenous aircraft carrier INS Vikrant being built at the Cochin Shipyard. This project follows two similar ongoing Defence Research and Development Organisation (DRDO)-IAI programmes for the next-generation SAMs for Indian warships at an initial cost of Rs 2,606 crore and nine air defence squadrons for the Indian Air Force for Rs 10,076 crore. Other big-ticket deals in the pipeline include acquisition of two more Israeli Phalcon AWACS (airborne warning and control systems), which are to be mounted on Russian IL-76 military aircraft, and four more Aerostat radars at a cost upwards of $1.5 billion. In addition, India is likely to soon acquire 10 x Heron-TP armed drones for around $400 million. 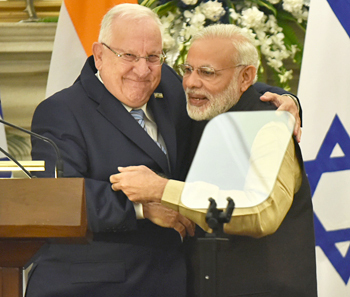 According to Daniel Carmon, Israeli Ambassador to India, Prime Minister Modi�s will be a very important visit. It will be one of the most important visits that Israel has witnessed in many years,� reflecting the depth of cooperation between the two countries in a range of key areas. He added that the relationship has gone beyond buying and selling and that the two countries are now focusing majorly on joint research and development. That the cooperation should logically also span the covert and cutting edge technology is indicative by Carmon saying, �We are really talking about things which are very deep. Much deeper than the deliverables.� Undoubtedly, Prime Minister Modi�s visit will provide a massive fillip to India-Israel relations.